A short time ago an article appeared in the Worcester News written by Mike Pryce about a young lady who had paid £2 for a ticket to a Rod Stewart concert in Worcester’s Gaumont in 1973. 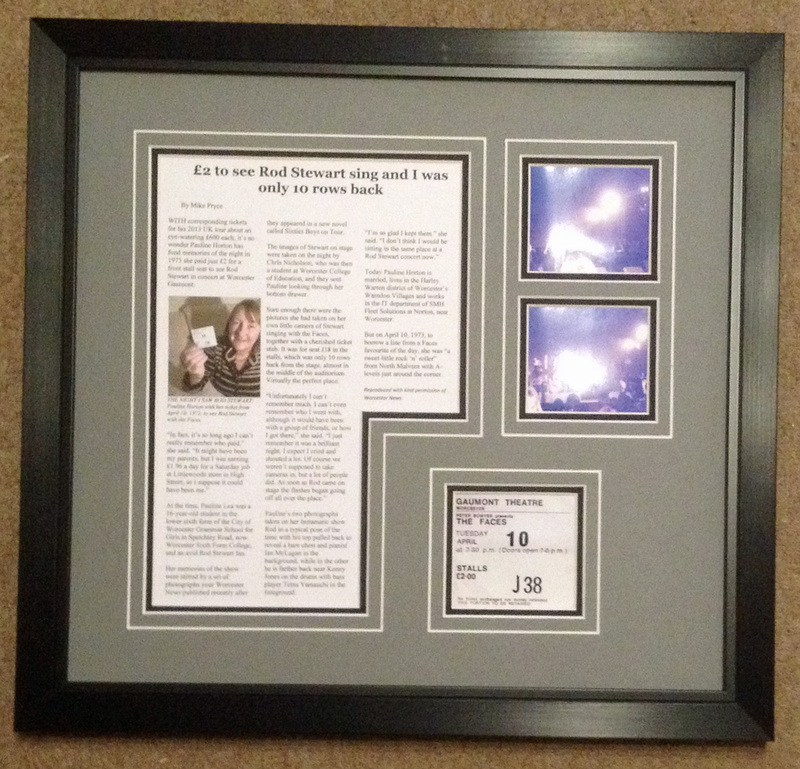 We sent an email to the reporter asking if he would contact the lady concerned to find out if she wouldn’t mind if we produced a bespoke frame to display her ticket, photos and a copy of the article. After a few emails we had the anwers and copies of all the materials allowing us to produce a simple design fo the article. The double mount has been cut to the shape of the article and 3 more apertures for the ticket and photos with each area surrounded with a groove cut into the top most board, all set off with a simple black frame with a brushed finish which itself has a groove on the face.